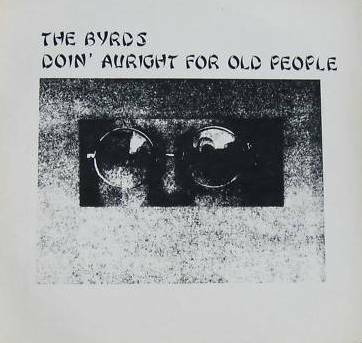 I believe this was the first ever Byrds bootleg. While an East Coast bootlegger made up the venue ‘Atlanta Whiskey Flat’ for a Beatles performance, here WCF invented ‘Buddy’s in England’ for this tape which most likely was passed to them without any identifying information. Source: Incomplete radio broadcast by Dutch station VPRO, as broadcast on a US radio station some time after the event: The Byrds at the tail end of their European tour, recorded here in Amsterdam at the Concertgebouw on 1970-07-07. Concertvault claims this is the 10:30PM second show (there was also a 7PM early show, which can be found on their website).